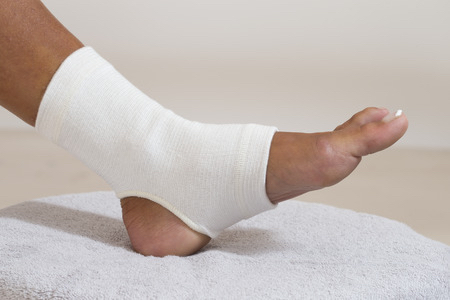 Sprained Ankle Treatment: Fast Or Slow - Jeffrey H. Berg, M.D. So you’ve twisted your ankle and suffered an ankle sprain. Now you’re wondering what is the appropriate sprained ankle treatment. Well like most sports medicine injuries…it depends. As you may recall, a sprained ankle is torn ligaments around the ankle. Additionally, there often is associated local bone bruising and soft tissue swelling. All of this is responsible for your pain and other symptoms. Surprisingly, as bad as things may seem at first, these injuries almost always will heal with no treatment at all. So the sprained ankle treatment isn’t for curing the injury. The treatment is for helping you to get through it, hastening your recovery and lessening your risk of recurrence. Actually, there are two sprained ankle treatment options. One for a quicker functional return and one that will likely lead to a slower return. Why would anyone one want a slower return? The sprained ankle treatment that results in a faster recovery, also leads to more pain and more swelling. The sprained ankle treatment that leads to a slower recovery, usually results in less pain and swelling…at least in the beginning So pick the one thats best for you. If your priority is to recover more quickly, pick the faster plan. If your priority is to have less pain and swelling, choose the other. But if you choose to go slower, be prepared for a more protracted recovery. Your ankle…your choice. Essentially the difference between a faster recovery and a slower recovery is how quickly and how much you use your ankle early on. Begin sooner and you’ll recover more quickly. Start later, and you’ll recover more slowly. If you want to get back to your sports, work or any of your activities more quickly…start moving now. It is safe to weight-bear early after an ankle sprain. It just may be hard…and painful, to do so. If needed, use crutches, a cane or even a stabilizing brace…anything that enables you to weight-bear and move your ankle. Then wean from these….as soon as possible. The key is to use your ankle. The more you do, the less stiff and weak your ankle will become and therefore the less strength and range of motion you will have to regain. The problem is that all this early activity often leads to increased swelling…and pain. Swelling can lead to stiffness and more difficulty ambulating. So preventing and, if needed, reducing your swelling, is critical. So how to reduce swelling? Rest – In the beginning, don’t overdo things. Weight-bear, move and use your ankle. Just don’t do too much. What is too much? Well it’s different for each person…and different over time. If you are having too much pain…If you are causing too much swelling… You’re likely overdoing things. Do less. And as you recover, slowly begin to do more. Ice – Early on, and if new swelling develops after activities, ice used for 20-30 minutes, often helps reduce swelling. At the very least, it will numb your sore ankle. Which will feel really, really good. Compression – Wrap your ankle. (A simple ankle sleeve works well). This way when you’re upright and using your ankle, you will develop less swelling. Less swelling means less stiffness and pain. The less stiffness you develop, the less stiffness you have to overcome. The less pain you have, the more active you can be. Elevation – When your injured ankle is hanging down, the fluid from the injury will pool in your ankle and foot. 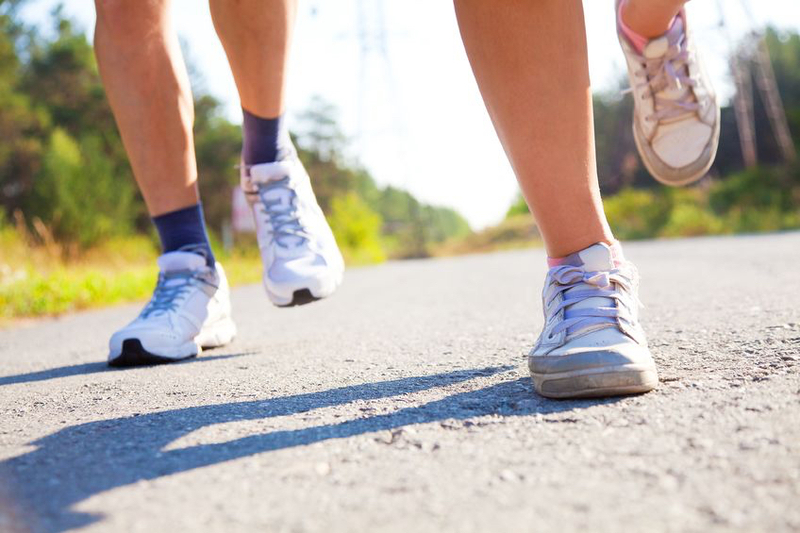 So get your ankle up when not moving and get the fluid moving in the opposite direction…away from your ankle. Physical therapy can speed up your recovery even more. Additionally, since therapy is usually geared to improving your strength, balance and endurance as well as your acute symptoms, it often reduces your risk of reinjury as well. With this approach, there is no reason, you shouldn’t be able to return to your activities within 2-6 weeks (If your younger, closer to two. If your older, sorry…likely closer to six). For some, there may not be a need, or an ability, for a rapid recovery. For those of you, the priority may be on reducing pain and swelling. Even if it means a longer period of disability and more prolonged symptoms. If that’s the case, a longer period of bracing, even immobilization in a boot, may be used. Weight bearing may be delayed. But be warned, longer immobilization leads to increased stiffness and weakness which needs to be overcome. And the deeper the hole your in, the harder the climb out. So don’t use the boot or brace, or delay weight bearing too long. No matter when you start to move your ankle or weight-bear on your injured side, there will be pain. There is no way to avoid that. And the sooner you move, the better. RICE is still advised and physical therapy will be critical. In fact, since there is less early activity and more weakness and stiffness, therapy will be more important and likely needed for a longer period of time. With either plan, some pain control with medications may be needed. Rarely should anything more than over-the-counter medications be required. If so, you are likely doing too much. Rest, Ice, Compress and Elevate. Then get back to recovering…just at a slower pace. No matter the mode of recovery that you choose: Fast or Slow,, the final stage is your return. It is hard to regain full coordination, strength, flexibility and endurance without participating in full activities. That means, you likely will still be recovering when you are back. So be wise. Go slow. Protective taping or bracing may be advisable early on. Either way, continue to monitor your swelling and symptoms…and treat accordingly. Before you know it, you’ll be going full speed…and symptom free! Ankle Fracture Symptoms: What Are They? Sprained Ankle Symptoms: What Are They?